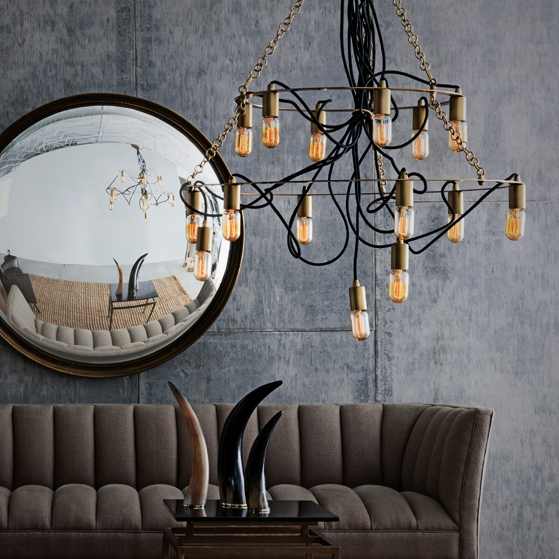 M & M Lighting - Stop By Our Lighting Showroom In Houston Today! M&M Lighting has been a leader in the commercial and residential lighting industry since its establishment in 1961. Serving the greater Houston area for over 50 years, M&M Lighting has proven to be one of the top distributors for lighting fixtures and ceiling fans. Our sales consultants are highly knowledgeable and have successfully completed the certified lighting training from Lightolier and the American Lighting Association. With many years of experience and expertise, our lighting sales professionals are capable of solving any of your lighting problems. At M&M Lighting, our lighting showroom offers thousands of in-stock decorative, commodity and commercial lighting fixtures. We are proud to offer a large selection of interior and exterior lighting products for your home or business. Need to dim a room? M&M Lighting has all the latest switches and dimmers in standard and satin finishes from a variety of brands, including Lutron and Legrand. Interested in replacing old fixtures with LED lights? Our knowledgeable sales staff can ease the transition and help you with compatibility and dimming. Can you get it today? M&M Lighting stocks a large inventory of Casablanca and Minka Aire ceiling fans and controls, Hadco landscape lighting and transformers, Kichler premium under cabinet lighting, and LED tape lighting from WAC and LEDI, in addition to thousands of other lighting products. Chances are, yes, you can get it today. Not in stock with us? We can order directly from hundreds of manufacturers to get exactly what you need. Why shop locally? Our sales staff is Lighting Associate certified by the American Lighting Association. Not only can we help troubleshoot fixture problems, we can help select correct sizing on decorative chandeliers, bath vanities, wall sconces and outdoor fixtures as well as provide suggestions based on your preference of styles and lighting output. M&M Lighting also can recommend fully licensed and bonded electricians who we’ve worked with for years, so you can rest assured that your electrical projects are in safe hands. Our customers come back to us 10, 20, sometimes 30 years after their first home was completed by us, and many of our employees are lifelong employees. We take pride in that. We are a proud member of the American Lighting Association, the Greater Houston Builders Association, the National Association of Home Builders, the Texas Association of Builders, the Greater Houston Partnership and many others. M&M Lighting features and stocks recessed fixtures from brands such as Lightolier, Halo and Nora. If you reside in the Houston, Texas area or a surrounding community, visit our comprehensive showroom located at 5620 S. Rice Avenue. We are open from 9 a.m. to 5 p.m. Monday through Friday, and 10 a.m. to 3 p.m. on Saturdays. When you visit us in person, you can speak to one of our sales associates about your lighting needs and receive instant feedback on the latest lighting trends. Feel free to call us at (346) 230-4107 or to fill out our online form as well. We look forward to speaking with you!